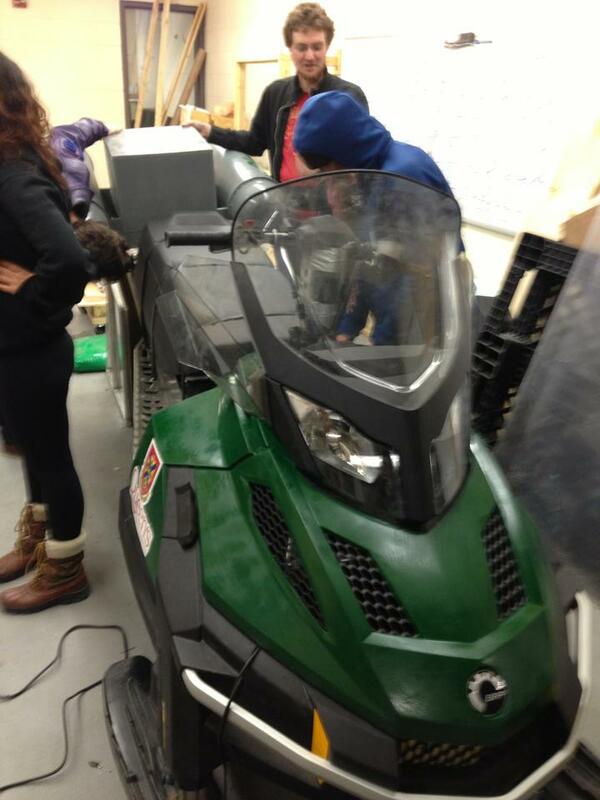 Queen's Fuel Cell Team Blog: Back From Houghton! After a long, rewarding week, the competition is over. It all started with an early morning and after a long drive and a longer wait at the border we checked into the hotel and brought our 12 foot trailer over to the large hanger where all the other teams from around both Canada and the USA were unpacking and running tests on their respective snowmobiles. The next few days were very intensive as we met with other teams and we promoted our own fuel cell powered snowmobile technology. We did our best to unwind at night as we became good friends with some of the other teams in the competition all the while celebrating a few birthdays for some of our team members. It was great to get some different perspectives on the competition and on our own project from members of teams with very diverse engineering backgrounds. When it came to the final presentation our team gave a good show and while we didn't win the competition we represented fuel cell technology well and sparked some very compelling discussions regarding the merits of the technology and its potential applications. Needless to say it was an incredibly rewarding experience and we plan on going back next year with an even more refined snowmobile system and a better understanding of what the competition entails and how to best be competitive in that setting. Thanks for all your support this year and we're more excited than ever to continue our mission to promote fuel cell technology at Queen's and beyond.